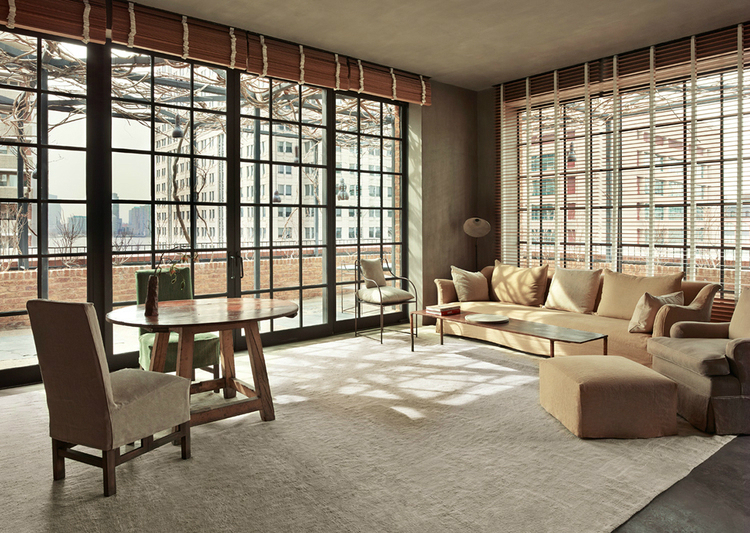 The TriBeCa Penthouse, a sanctuary high above the corner of Greenwich Street and North Moore Street. 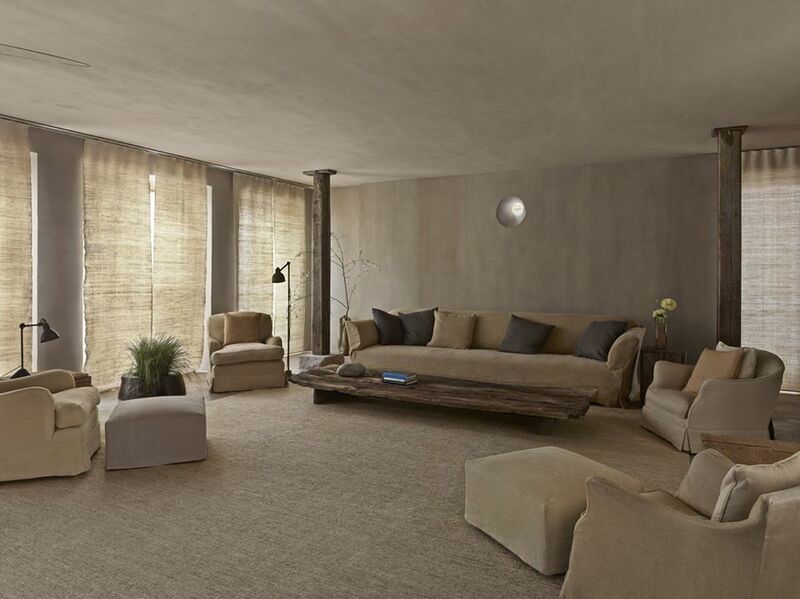 The TriBeCa Penthouse was created by Belgian designer Axel Vervoordt and Japanese architect Tatsuro Miki, in close collaboration with the hotel’s partners Ira Drukier and Robert De Niro. 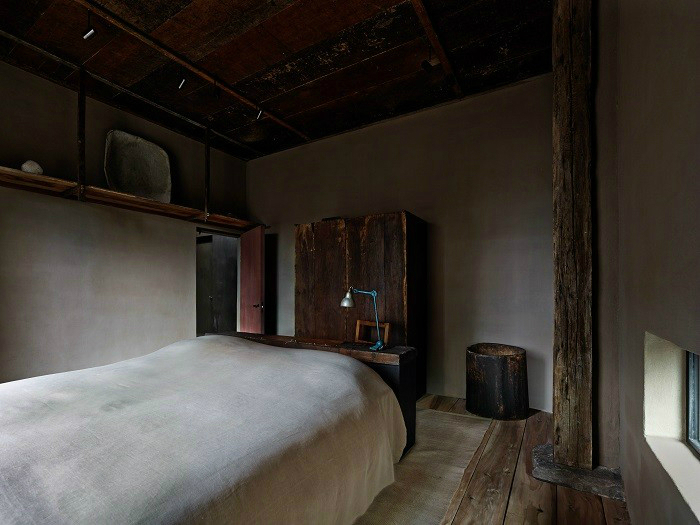 The 6,800 sq ft suite was inspired by the TriBeCa neighborhood’s industrial past fused with the ancient Japanese aesthetic of Wabi. 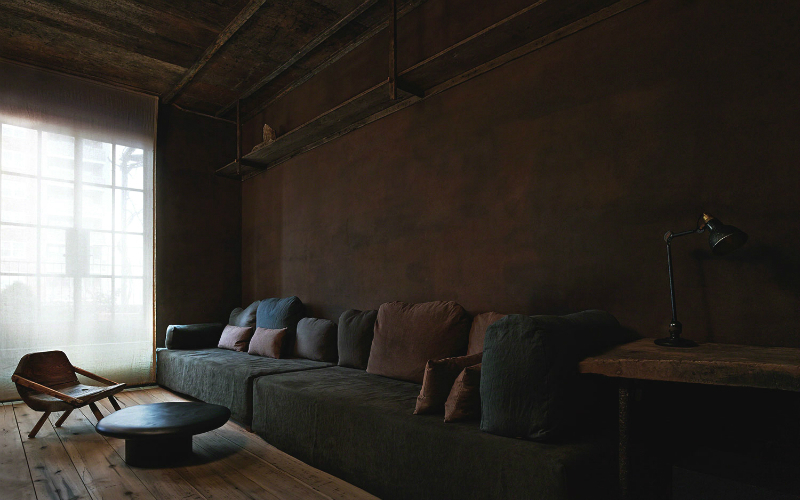 The Penthouse design incorporates the philosophical beliefs of Wabi: beauty found in imperfection and authenticity; Artempo – where time becomes art; and poor materials that are rich in spirit. 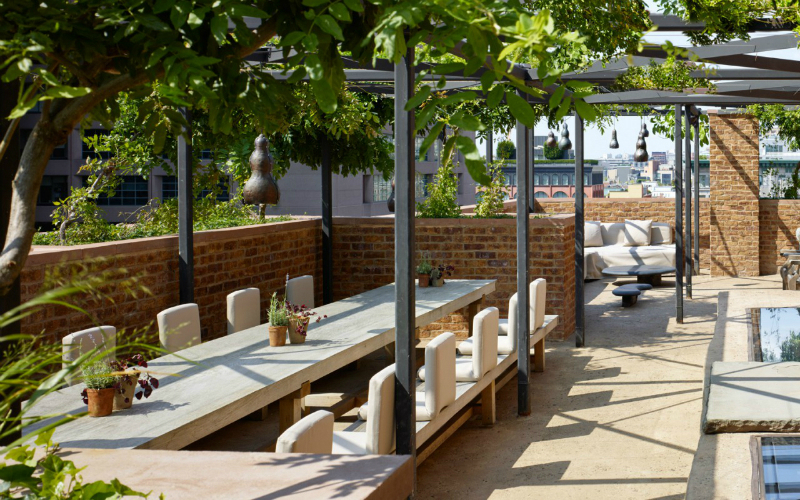 Sustainable design is echoed throughout the interior and exterior space. 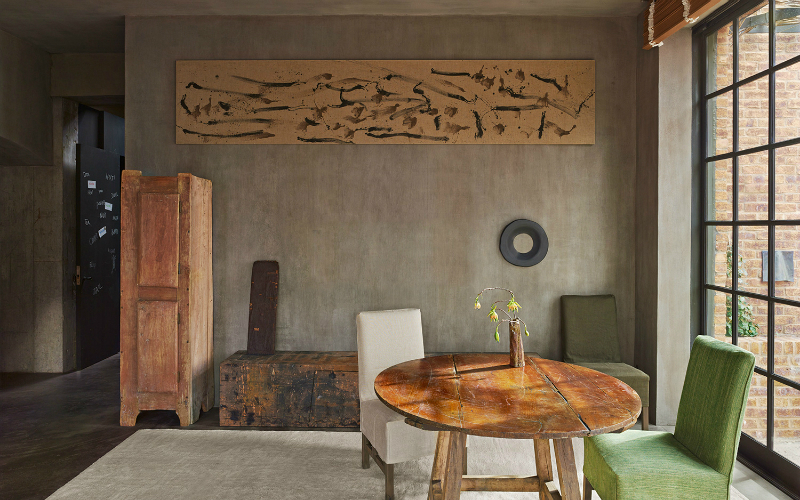 Materials like stone, steel and reclaimed wood were carefully selected and thoughtfully utilized in every area of the penthouse. The iron fire grate has been made from joist hangers utilized in the original structure of the Louvre Museum. 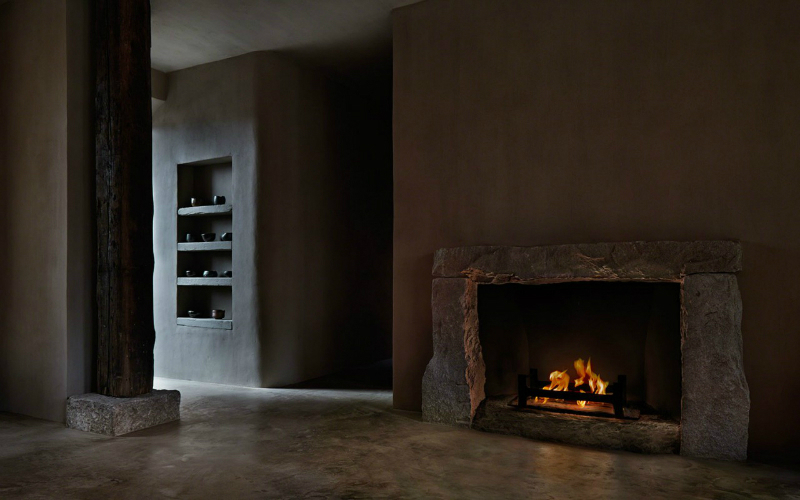 Opposite wall in the Drawing Room features a natural stone slab fireplace and passage to exterior terraces. Original ceramics and vases designed by Japanese artisan, Shiro Tsujimura. 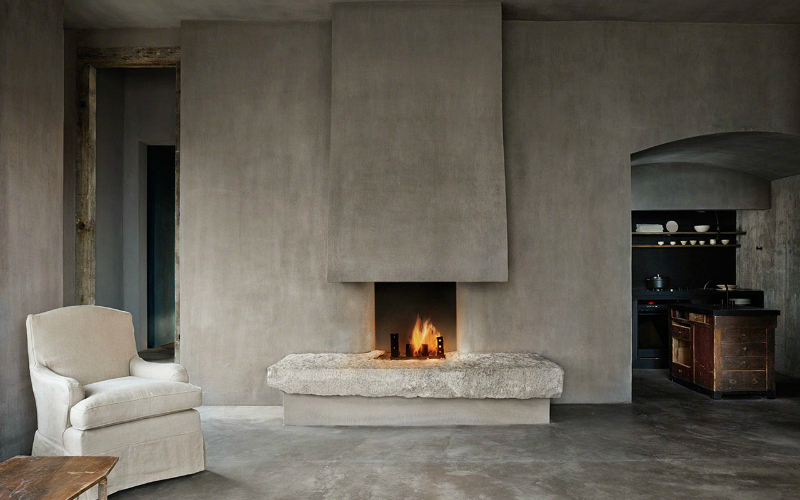 The Living Room has a custom stone fireplace and seating area with oversized sliding doors leading out to the lower terrace gardens and a staircase to the upper terrace gardens. 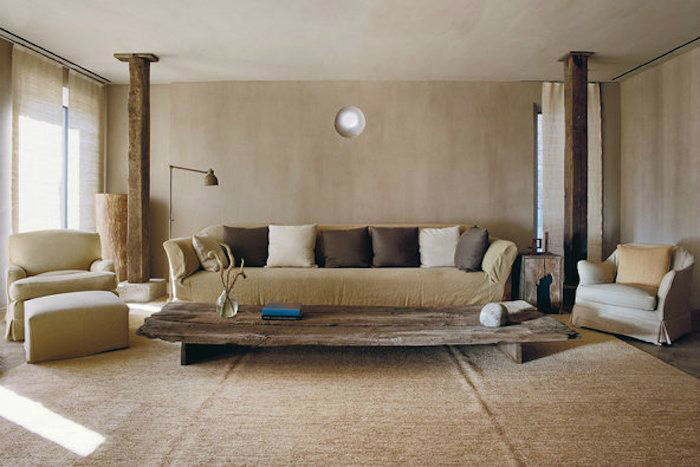 Artwork in the Living Room is an original piece created specifically for the space by Axel Vervoordt and Tatsuro Miki. 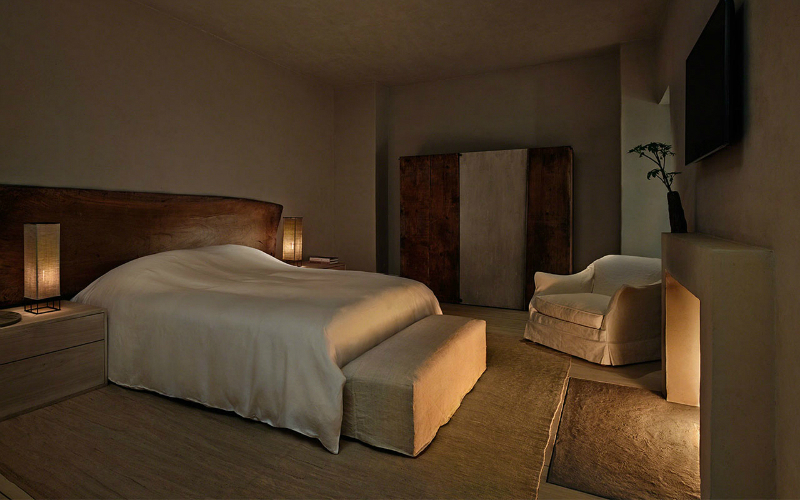 The large Master Suite features a king-sized bed, walk-in closet, fireplace and glass door leading out to the lower terrace gardens. The en suite Master Bathroom features intricate stone floors, a custom bathtub and separate shower. 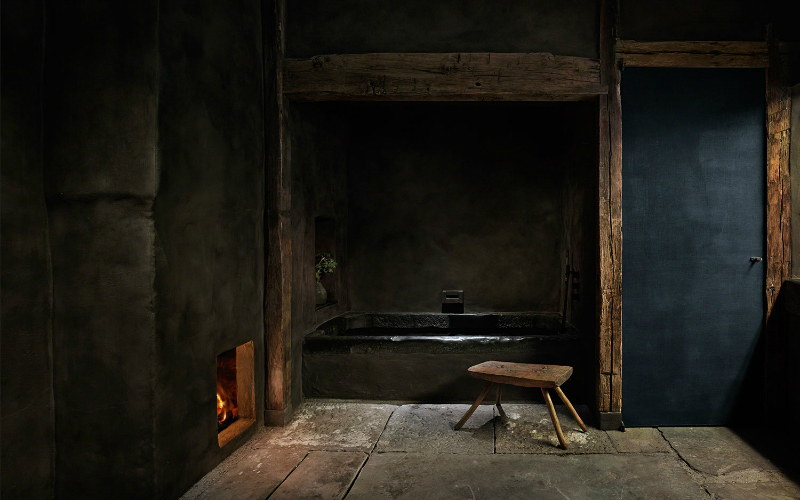 The framework for the soaking tub and the double basin sink was crafted from a 17th Century stone water trough weathered and smoothed by time. 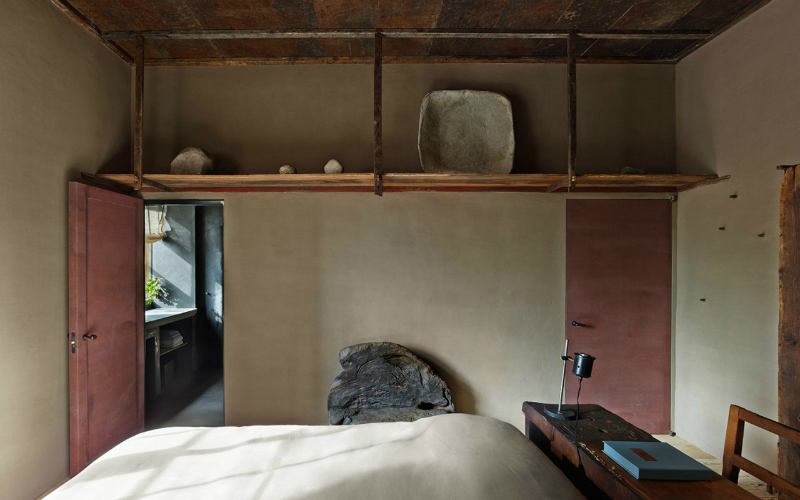 The Second Bedroom, with a king-sized bed, shares access with the third bedroom to a large bathroom featuring a steam room with rain shower and Japanese soaking tub. 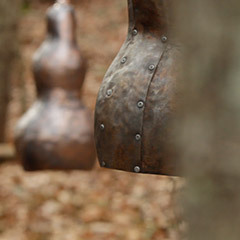 Each bronze door handle has been shaped from a clay mold of Axel Vervoordt’s hand in different positions. Bedroom Three, with custom twin day beds, has glass doors leading out to the lower terrace gardens. The ceiling is lined with wood planks salvaged from the nearby Union Square Farmers Market. 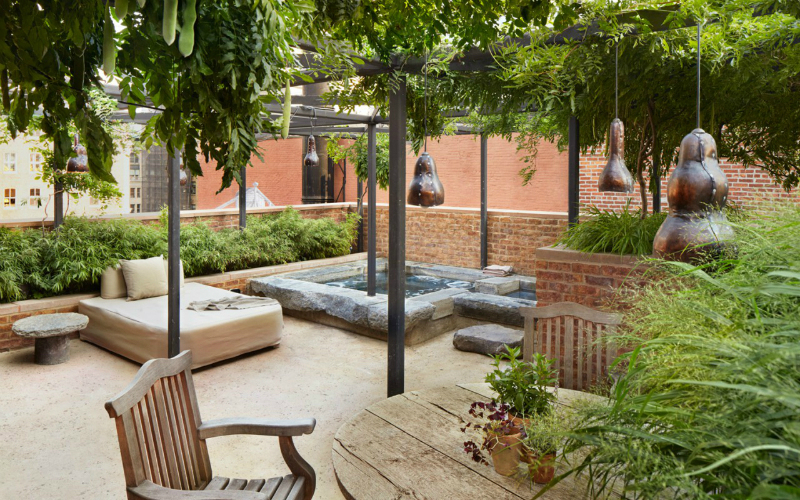 The 4,000 sq ft private multi-leveled terraceincludes lush gardens with wisteria-wrapped pergolas, multiple seating and dining areas, a spa pool, a large gas grill, and an outdoor wood-burning fireplace. The copper gourd hanging lanterns were crafted from the original roofing of the building.